We noticed your travel dates and/or duration are outside of this special offer. You can refine your travel details or continue with your search. 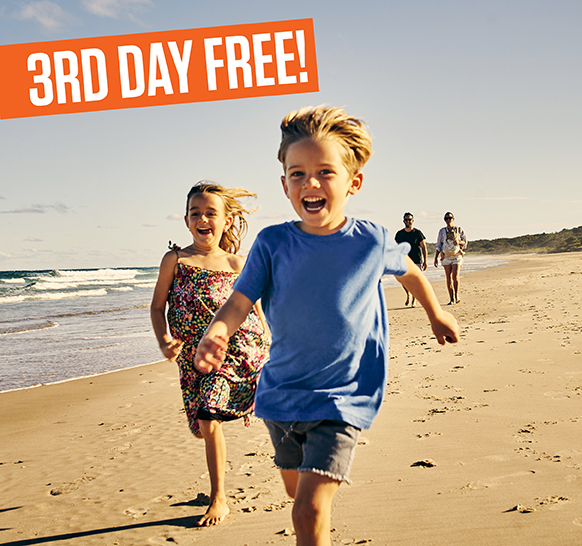 Rent a late model vehicle for 3 consecutive days over the weekend and get your 3rd day free. Book your weekend getaway now and pay later! Free day applicable to the base rate (time and kilometre charges) only. Must include coupon number TPNZ019 in your reservation.